Thanks for your flexibility with the rainy day lunch schedule this week. Enjoy your weekends! Get rested and try to stay cool. This week during your PLC time, Chris and I will join your team to facilitate a discussion about our Smarter Balanced Assessment/CAASPP results. Results from the 2014-15 administration of the Smarter Balanced (SBAC)/CAASPP are available in Illuminate and at the California Department of Education (CDE) website. Additionally, you may wish to discuss a timeline for administering the upcoming benchmark assessments. I am still looking for additional members of our English Learner Committee. Responsibilities include attending release day meetings, reviewing student data/placement and discussing best practices or English Learners. Please let me know if you are interested. I will be on campus all five days this week! WooHoo! Amy Illingworth, Director of Educational Services will visit on Tuesday and we will be walking classrooms beginning at 11:00. Katie McNamara, Superintendent, will visit Wednesday from 8:45-10:30. She also intends to visit classrooms. I will join Katie and Amy on their visits and will come to see your classrooms on Thursday. 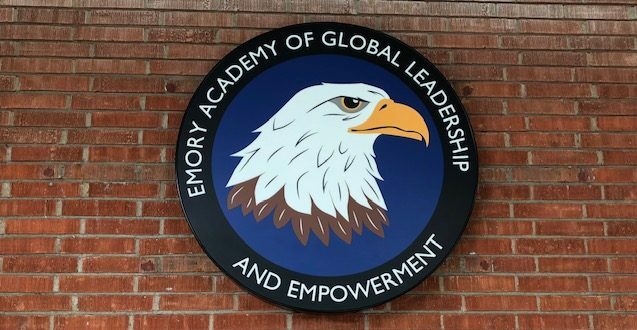 There is much to celebrate at Emory. Thank you for working hard to promote student attendance, positive behavior and PTA sign ups. See the reward schedule below. Let me know if you have any concerns about times/dates ASAP. Our first School Site Council meeting of the year is Tuesday, Sept. 15th at 1:40. Thanks to Angela, Erika, Angelica and Eunice for representing the Emory staff. Ed Services will offer calibration workshops during your Benchmark Assessment Window this Fall (10/5-10/20). These are optional [paid] workshops teachers may attend to get support with scoring student writing. See email from Amy Illingworth for the fine print. Please click here to see the dates and register yourself for the Math and/or ELA calibration workshop. Encourage your students and their families to join us Wednesday, Sept 16th for a free showing of Big Hero 6. The party starts at 5:30 with the movie beginning at 6:00. Feel free to join the party, too. Please be sure to welcome Kriza Casem who joins our team this week as our newest Impact Teacher. Try to connect with and welcome all of our newly hired Impact Teachers. Eugenia Salazar is supporting English Learners and newcomer students. Gina Pierotti provides intervention to our primary students and support to combo classes. Cathryn Clabaugh and Kriza provide enrichment during your collaboration. We are still seeking our final Impact teacher and therefore will continue to have Liz Desmond with us until we find our final team member. How engaging are your essential questions? Click here to read a summary of an article from Wiggins and Wilbur. How will you spend your fall break? I plan on doing the following in this order: BTSA, relaxing, professional reading/planning, playing with sister/hubby when they come to town on the 1st. May be tired when we return on the 5th…. Plenty of R and R….. Relax and clean the garage and backyard! I hope to relax:) Maybe take a trip to Disneyland with my two girls and hubby. Vegas Baby! Only for a few days, then back home for some R & R!